“The man who was Wreck-it Ralph just phoned and he’ll ring back in 10 minutes” hollered my excited daughter through the living room window that she had expressly opened for hollering purposes. 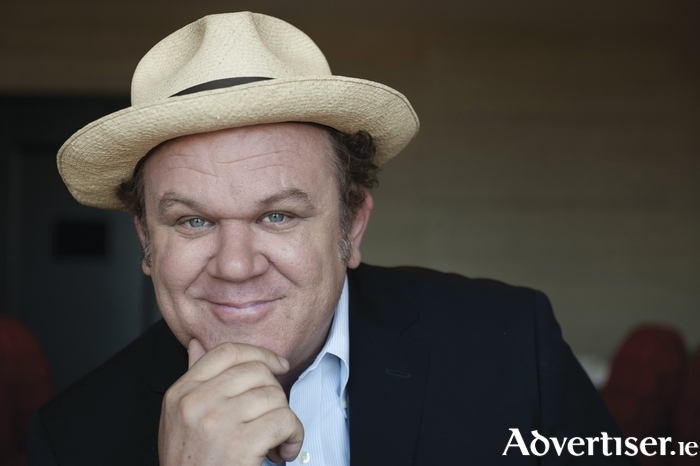 John C Reilly comes to Galway this weekend as an honoured guest of the Galway Film Fleadh. The fleadh is screening his deliciously funny musical biopic comedy Walk Hard: the Dewey Cox Story. Reilly is also doing an afternoon chat in the Town Hall and performing two gigs in St Nicholas’ Collegiate Church with his roots/Americana ensemble John Reilly & Friends. Reilly was born in Chicago, the fifth of six children. His dad, who ran a linen industry business, was a huge fan of the Clancy Brothers and they informed John’s own musical development. Reilly began acting onstage as a child, often in musicals – he has declared that he would love to play Nathan Detroit in any possible revival of Guys and Dolls. He went on to act with Steppenwolf Theatre Company before making his screen debut in Brian De Palma’s Casualties of War in 1989. Although his role was written as a small one, De Palma liked Reilly's performance so much that the role was significantly expanded. It has been a hallmark of Reilly’s film career that he always stamps his presence in a movie, whether he is a supporting actor or lead. What he brings to all his roles is integrity allied to his immense acting skill. He looks like the kind of guy you would cast as a cop or GI, and he has played both those roles yet he has the special gift of making all his characters intensely interesting. He also has a down to earth affability as an interviewee, more in keeping with his rootsy Chicago upbringing than his current guise as a Hollywood star. He shares his reflections on Dewey Cox in Walk Hard; “It’s funny because that movie was in some ways the catalyst for forming the band that we have now. I had met all these amazing singers and songwriters and people from the music world in Los Angeles as a result of doing Walk Hard, and I started performing with different people and at some point I realised that rather than having four rehearsals with four different people throughout the week why don’t we all just join forces and make kind of a revue out of it and that’s where we are. I ask John what guides his choices in selecting which movie to do, especially as his success up to now must mean he has a degree of latitude in picking what films he commits to. John’s latest movie was shot in Ireland, The Lobster, by Greek director Yorgos Lanthimos, which featured in Cannes to great reviews.